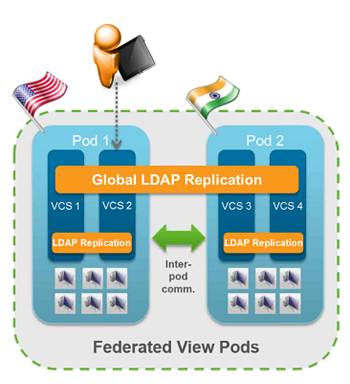 New data layer replication across all Horizon Connection Servers (such as pool configurations and user entitlements). 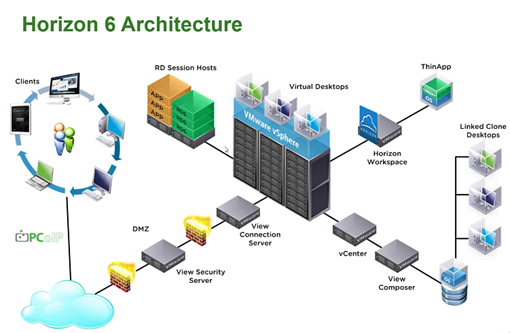 The Horizon 6 View infrastructure servers supports Windows Server 2012 R2 as Operating System. 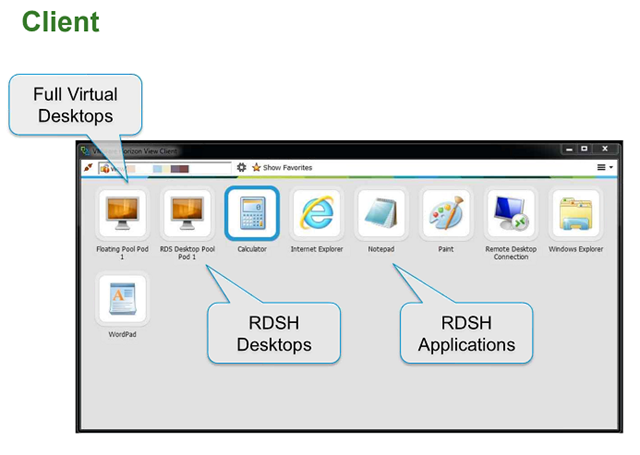 Prior Horizon 6 VMware only offers a VDI desktops. 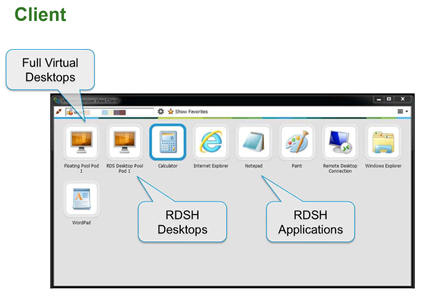 With RDS Hosted Apps in Horizon 6, VMware offers access to applications and full desktops running on Microsoft Remote Desktop Services Hosts with the PCoIP and Blast protocol. 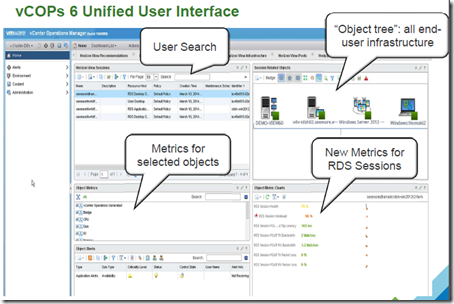 The RDS apps are available to the Horizon View broker. In Horizon View 5.3.1 support for VSAN was added. 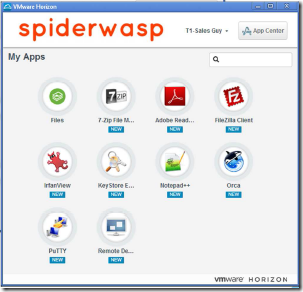 It was available as separate product. 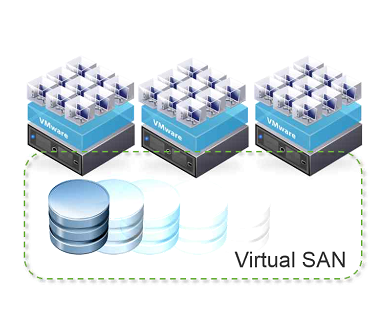 Now in Horizon 6 VSAN is added for free in the Horizon 6 Advanced and Enterprise Edition! 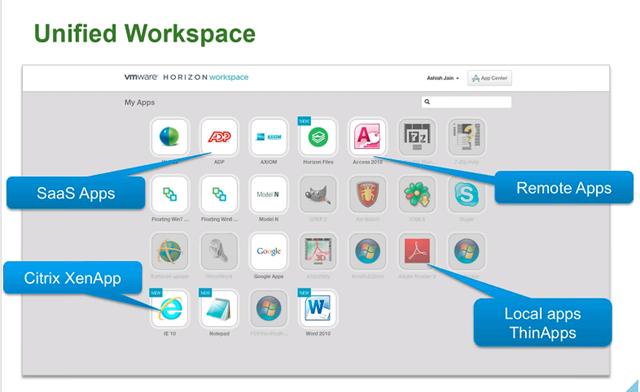 The Application Catalog offers a unified workspace for applications. 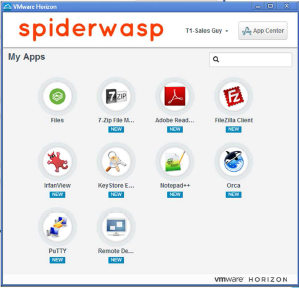 One portal to for all applications (Local ThinApps, Citrix XenApp, SAAS and Remote Apps) from different devices. The application catalog has multi-forest Active Directory support and can be easily customized by changing logos, login prompt, application launchers, backgrounds etc. 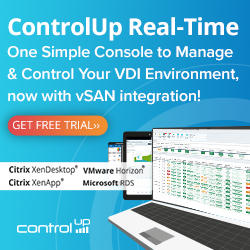 More information can be found on the pricing page, link . 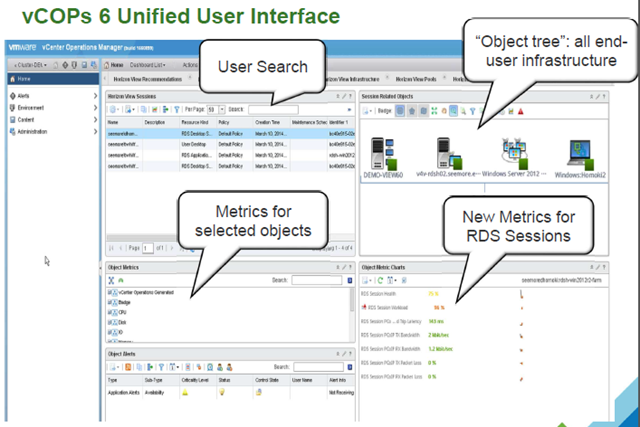 The Horizon 6 enhancements are a big step for the End-User Computing (EUC) market! vExpert for the fourth time!